Several prominent foundations, to their great credit, are doing a good job of fostering public dialogue on how to support community journalism and international reporting. But a related concern — the uncertain future of independent documentary photography – has largely gone unnoticed. That is what makes it so ironic to learn that some documentary photographers are coming to the aid of foundations and nonprofits by letting them tap into their unique skills as well as use their images to help highlight social issues too important to ignore. “Documentary photography does face many great challenges because the media industry, which is changing so quickly, is not adequately supporting this important work,” says Susan Meiselas, president of the The Magnum Foundation, whose mission is to bring over half a century of historic and iconic photographs to the public and support the work of a new generation of documentary photographers. “Even though photographers are accustomed to flexible work arrangements and producing work that they must convince outlets to distribute, the fundamental changes occurring in the media world are choking off funds for the development of documentary photography projects. the fact that they are not tethered to organizations leaves them at risk. That is where the Magnum Foundation comes in. Through what it calls the BE SEEN initiative, Magnum is pairing social purpose organizations with exceptional documentary photographers to help them tell their own stories through images. in photos, video and multimedia its Fellows projects. Ashoka plans to showcase their work in what is described as “an exploratory web landscape populated with stories about individuals overcoming obstacles to improve their own lives and communities, inspired by the social entrepreneurs whose insights were a catalyst for social change.” The Woodcock Foundation’s support of the pilot produced two exceptionally engaging examples of multimedia storytelling, and Ashoka is currently seeking funding to complete the vision of documenting the work of 30 Fellows. The Foundation’s BE SEEN initiative additionally provides personalized service and advice on how organizations can optimize their visual communications efforts. 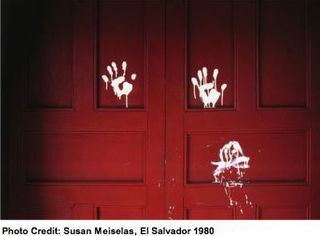 witness to human rights and other abuses, Meiselas maintains that there is still a role for the kind of documentary photography shot by experienced professionals. Photos to make work in its 60-year-old archive from such luminaries as Henri Cartier-Bresson more accessible to to foundations, nonprofits and other social purpose organizations. To see how Magnum’s collection differs from a stockphoto house, I did a search on “religion.” The resulting images definitely supported Meiselas’s case. The stock photos are staged and clichéd. They are Anglo-centric and explore very little of the unknown. 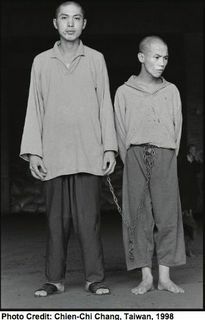 The Magnum Photos, on the other hand, are visually stunning. They have texture and extraordinary vibrance. The variety of subject matter that came up on my Magnum search was vast and fascinating. Each image seemed to tell a singular story that might lead to other related images that would tell a fuller story, and they made me want to learn more about the subjects in the photos. Magnum Foundation has attracted addtional supporters including Open Society Institute and The Atlantic Philanthropies, but still, there are many who are not yet aware of the state of independent documentary photography or what this kind of photography can accomplish to help advance social change. One of the Magnum Foundation’s most immediate objectives is simply to have more foundations and nonprofits know that the work of its photographers is available. So check out the Magnum Photos archive. And think about whether or not pairing with a documentary photographer through Magnum Foundation might be a productive way of developing images that powerfully tell your organization’s story.